The article detailed the concerns of witnesses that an industry has developed around so-called orphanages that exploit children for the sake of commercial gain. People are duped into giving donations, or volunteering, in circumstances that exacerbate the plight of children rather than serve their best interests. Sadly we are now all too familiar with the harm that institutionalisation can do to children. The child migrant program of the 1940s and 1950s involving the British government and Australian charities was well-meaning – giving vulnerable children a new start in the sunshine of the colonies. In 1992 the NSW Government appointed Sydney priest and social worker Fr John Usher to head a committee to examine the care provided to state wards. The “Usher Report” as it came to be known strongly recommended a move away from residential care as the default position for children separated from parents. The sad truth is that separation from family and culture has caused great distress for many. As National Director of Catholic Mission (the Pontifical Mission Societies in Australia) I take very seriously the responsibility not to support or encourage institutions that do more harm than good to children. "The right approach is to understand the traditional orphanage as the last resort, as a place for children with no other available living situation." ACFID noted with concern that there are an estimated 8 million children worldwide living in residential care, despite 80 per cent of these children having one or both parents living. In consideration of the proliferation of residential care in developing countries and the damaging effects it can have on children’s development and wellbeing. 1. On members to take measures to ensure they are not, directly or indirectly, contributing towards the unnecessary institutionalisation of children through programming, funding or volunteering activities. 2. On the Australian Government to work with NGO policy and practice experts to address the issues contributing to the overuse of residential care overseas within Australia’s aid program, charities sector and volunteering and tourism sectors. There is, however, a problem about terminology and categorisation. We have to look at exactly what we classify as an orphanage. Some institutions described as an orphanage are really just a boarding school or student hostel where the students come to stay before travelling back home for holidays. A family's decision to send a child away to access a better education or health care is not necessarily abandonment. Parents’ desire to give their children better opportunities than those which exist in their community is laudable in one sense. It would be much better if those facilities were provided in a day school locally. In some cases, imaginative alternatives to school give young people access to education locally. Catholic Mission supports the Daughters of Charity in Cambodia where locally-formed teachers take a tuk-tuk out to small communities, providing children with lessons in language, hygiene, life skills, children’s rights and cultural heritage, while fresh meals promote healthy eating. The Mobile Tuk-Tuk Education Centre allows children to access education and ultimately to avoid the possibility of falling victim to a merciless reality of prostitution, child trafficking and drugs. In a few cases, institutional care is the only viable option. One example in Cambodia is children suffering from HIV who have nowhere else to go. They face stigma because of their condition, with relatives unwilling to accept them into their homes and sending them out on the streets. 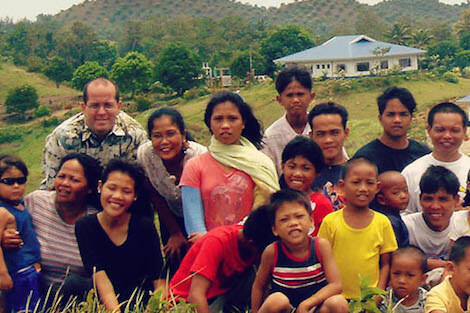 In this instance the church is one of the only places these children can go and it would be classified as an orphanage in the traditional sense. Another tragic situation is the plight of children who are separated from extended family, due to violence and civil disturbance. The right approach is to understand the traditional orphanage as the last resort, as a place for children with no other available living situation. It should only exist where it is necessary and not merely because it is expedient. Certainly, one should not establish or promote an orphanage because of its capacity to attract sympathy and donations from visitors. We need to make the distinction between the three types of institution: orphanage, boarding schools and student hostels as they each cater to a different group. Their value and the support they merit needs to be assessed accordingly. In every case, however, what is non-negotiable is that the children receive the best care, and be safe from every kind of physical, emotional and sexual abuse. This requires much more resourcing that is usually available. Totally agree. As a former child in a church orphanage of 5 years. When siblings are sent to different orphanages this is an awful thing for the children. Depending on the church organization for decent food, warmth and second clothes is a no-go. Thanks Brian for this overview and for the distinctions you make between different kinds of accommodation. Very helpful. Thanks Brian. Very informative. You rightly allude to the plight of some children in East Timor which makes me thankful for the orphanages run by the Carmelite Sisters there. There are children whose parents cannot care for them, for one reason or another. Either they are dead, or mad. (Mental health is a huge issue in Timor.) Even being cared for by extended family can bring problems, e.g. the child can become a little slave in some cases, as well as being at risk, as you describe. The educational opportunities provided by the Carmelites are excellent. They see the children through to high school, and those who can cope to university. I am appalled that children are exploited in the ways described, and as reported recently in the press, and that must be resisted. But as you say, the circumstances should be investigated, so babies and bathwater are not confused. The dictionary tells us that a child separated by nature from a biological parent is an orphan, even if the child never knew the parent. Is a child separated by the law from a biological parent an orphan even if the child never knew that parent, or do laws tell dictionaries what to say? It's interesting that Fr Brian Lucas believes that it's non negotiable that children receive the best of care and are treated with dignity as befits all people. It's just a shame that the church he represents has failed and in so many instances is still failing to protect the rights of children at the expense of the Catholic Church which has been exposed as a major abuser of children worldwide. The Catholic Church has also been a major player in separating children from their parents and from their cultural heritage and has failed to ensure that children's rights will even now be protected. Brian Lucas is right however in that there is a difference between types of institutions and that great care should be taken in providing resources to them and that in some instances instutional care is the only option available. However many of the agencies churches who ran institutions in Australia also failed to ensure all the proceeds they received were given to the children who were in those institutions. We can criticise others but need to get our own house in order first. For the record I was also in instutional care. I was also in "care" in an orphanage. My experience- and that of countless other children whose experience was traumatic- makes me agree that orphanages should be absolutely the last resort. But the findings of the Royal Commission here and similar inquiries overseas makes it imperative that orphanages must be registered and tightly regulated. So-called good intentions of Christians can no longer be taken as a guarantee of children's safety. Trust has been betrayed too often and orphanages have been plundered by paedophiles dressed in religious garbs. Police checks of all staff and regular independent visitor programs are a minimum requirement- despite the costs entailed. And there must be ways of ensuring that the authentic voices of the children are heard and acted upon.